What is it like to have field hours? As a childhood education major, I am required to have 120 hours of field experience before I can graduate. I can’t just do these hours whenever I have time, though. They are broken up into chunks of 10-20 hours and are paired with an education course. This semester, I have observation hours for 3 classes: Literacy, Special Education, and Methods. The hours for literacy an special education are done on my own. I get to choose the school and between a couple of grade levels. Along with these hours is an assignment that aligns with the course curriculum. Methods, however, is a bit different. On Friday I had my first field day with EDU 386: Teaching Math and Science Methods for grades 1-6. Instead of meeting for class on campus, I went to a classroom at Harmony Hill Elementary School in Cohoes, NY. 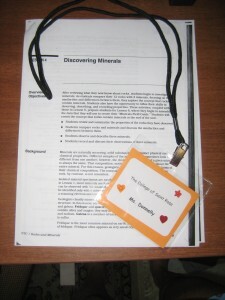 I taught a lesson on rocks and minerals with 3 of my classmates to a 3rd grade class. The students were rather excited to have us there. We had them review the previous lesson by telling us characteristics of rocks, and some of them just about jumped out of their chairs to tell us what they knew. Then, we split the class into 3 groups so that they could examine 3 kinds of minerals to help us “solve the mystery” of which mineral was which. We came back together to share what was found through their observations and solved the “mystery” together. Before we leave each week, our host teacher will give us a lesson or topic to teach for the next week. We’ll have to go back to St. Rose to form a game plan and prepare for the excited bunch of students. 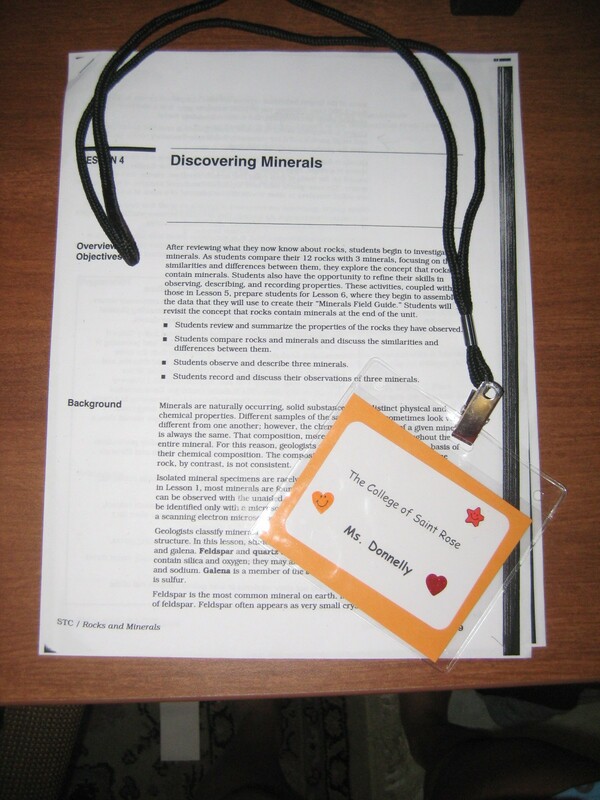 This week’s lesson will be from the same rocks and minerals unit. Let’s hope they’re still super excited for the new lesson!